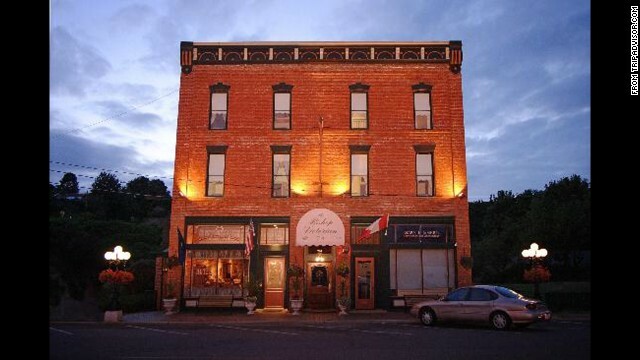 Explore "America's Best Small Towns," listed here in alphabetical order. Wacky and wonderful, Ashland is an arts lover's dream. It's home to the Oregon Cabaret Theatre, Ashland New Plays Festival and the Oregon Shakespeare Festival, the largest regional repertory theater in the United States. Visitors can also enjoy dinner at one of the Northwest's signature seafood spots and a trip to Lithia Park. The latter is on the National Register of Historic Places and stretches over 90 acres. 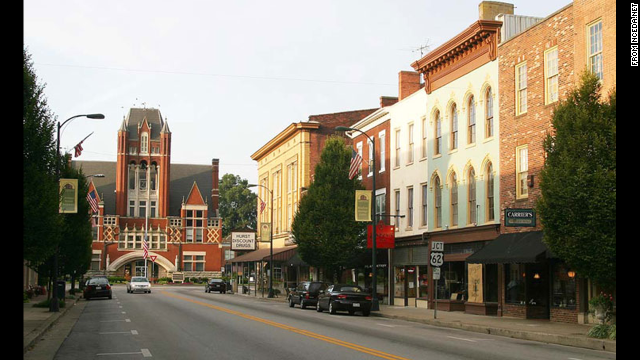 Bourbon is the star of Bardstown, in the center of Kentucky. The trademarked "bourbon capital of the world," the city is home to the annual Kentucky Bourbon Festival and a public museum fully dedicated to whiskey. And while you enjoy the drinks, travel to the Civil War Museum at Old Bardstown Village and the plantation mansion of Judge John and Ann Rowan. Rumor is that place inspired his cousin, Stephen Foster, to write the fabled tune "My Old Kentucky Home." Many people know this coastal town as one of the filming locations for "Forrest Gump." Shrimp boat or not, the majestic beaches, history museum and outstanding Beaufort golf courses can make any summer vacation memorable. 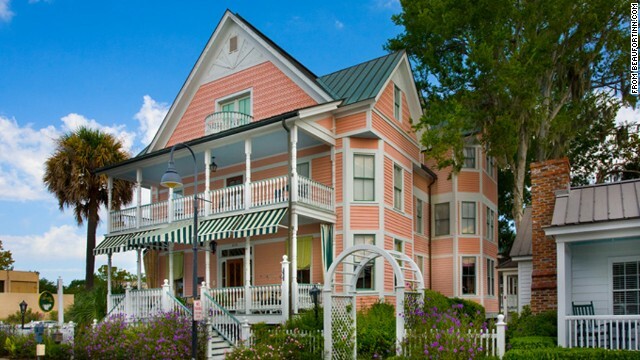 Beaufort also has landmarks rich in African-American, antebellum and Gullah culture. This town is a South Carolina gem. 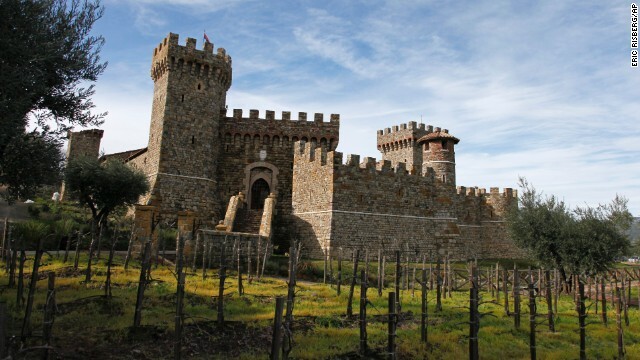 Rich in California history, the Upper Napa Valley town of Calistoga has been named a "Distinct Destination" by the National Trust for Historic Preservation. The city is a combination of natural beauty and a bundle of expansive world-class wineries and spas. The Calistoga Speedway is another must-see, with short track motor racing that's sure to deliver thrills. Old Faithful Geyser of California, not the Yellowstone one, is also located in the city. 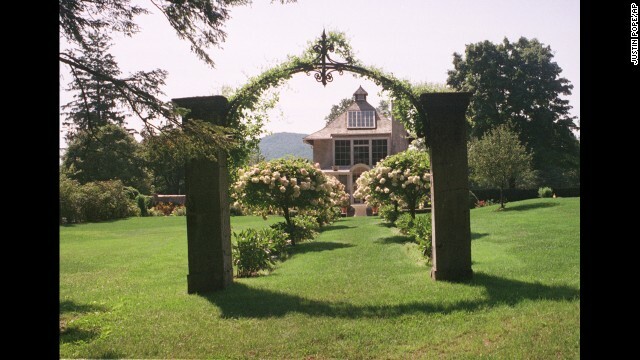 The National Baseball Hall of Fame is Cooperstown's star, but this New York town also hits a true home run with other attractions: The Farmers' Museum, Fenimore Art Museum and the Glimmerglass Opera. But if you're a baseball family, there is no better place to see baseball's past and catch a game. Four years ago, the Cooperstown Hawkeyes were born, a collegiate league team that plays at the historic Doubleday Field. 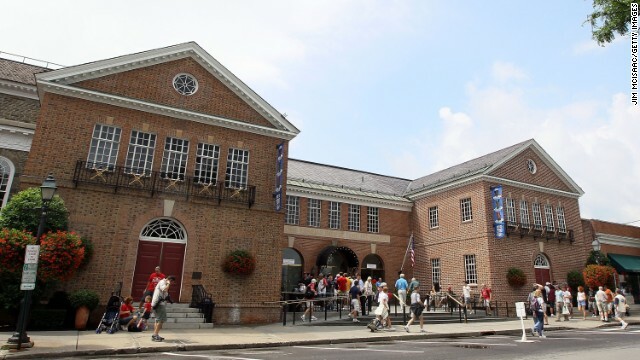 Tickets are cheap, and Doubleday, home to the Major League Baseball's Hall of Fame Classic, is worth the price of admission alone. 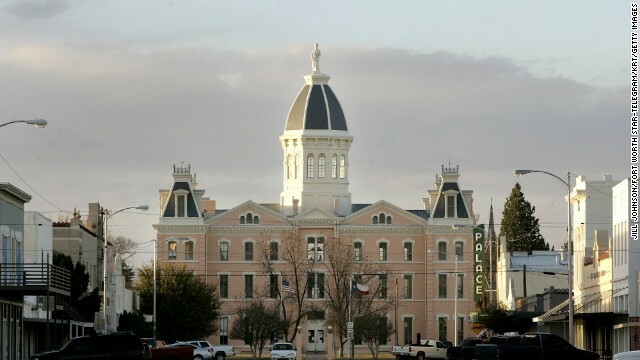 Another "big screen small town," Marfa has been featured in several recent films, including "There Will Be Blood" and "No Country for Old Men." Outside Hollywood, Marfa is also famous for its "Marfa lights," a phenomenon where the area surrounding the Chinati Mountains appears to sparkle. The lights serve as a backdrop for the city's ever-growing arts scene and cultural center. All, of course, with Texas flair. A surfer's haven, this beach town on the island of Maui is sometimes known as the "windsurfing capital of the world." 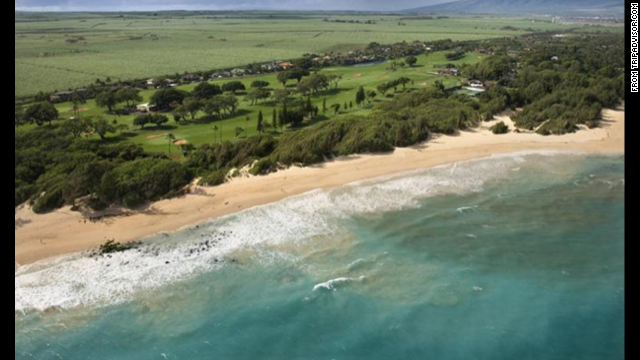 And with only hundreds of households in town, the sparse population of Paia will make for a relaxed, pristine visit. After a day at the beach, immerse yourself in the different Hawaiian cultures at the variety of art galleries and restaurants. Port Townsend is a maritime town done right -- filled with sailing, seafood and a funky arts culture. Home to a U.S. Navy dock, residents and travelers enjoy swimming the town's beaches and exploring its river valleys. 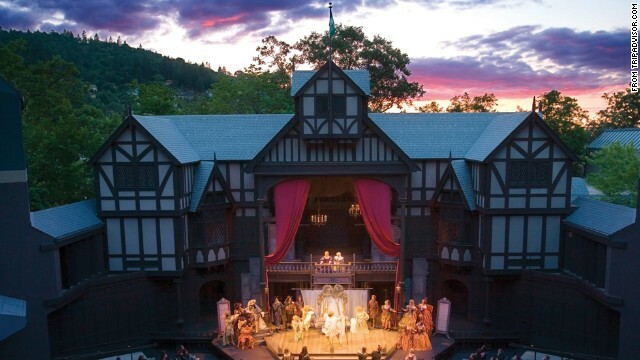 If you're visiting in August, the town's "Shakespeare in the Park" series is a must-see, highlighting the theatrical, literary culture that defines the state of Washington. Stockbridge is rich in American history. From the first wood-based newsprint mill to the Berkshire Cottages, visiting this town is a trip to America's roots. Yet the city now boasts a first-rate botanical garden, resort spas and other new attractions. Stockbridge has been home to some famous Massachusetts residents, too, including artist Norman Rockwell and guitarist James Taylor. The final scene of "Good Will Hunting" was shot on a Stockbridge highway. Based in the small town for the stars, the Telluride Film Festival has attracted Bob Dylan, Oprah Winfrey and Tom Cruise. Still, the city has not totally forgotten its roots, as historic Colorado mining sites are only a stone's throw from new ski resorts, shopping districts and nightlife. One small town can be seen in the movie "Forrest Gump"
(CNN) -- With their quaint downtowns, undeniably charming shops and distinct personalities, small towns have long held a special place in the American heart. That homey feel can also appeal to city travelers longing for a slice of small town Americana. The best of the best are included in Fodor's Travel second-annual list of "America's Best Small Towns," released Thursday. From a funky arts town in Oregon to a popular South Carolina throwback, there is nothing small about the affordable attractions these cities offer. "There has been a big uprise in traveling to smaller towns that have some quirky and regional appeal," said Arabella Bowen, executive editorial director of Fodor's Travel. "There is a want for a local, authentic, mom-and-pop experience." To qualify for the Fodor's list, these small towns must have fewer than 30,000 residents, although the majority have under 10,000 residents. The cities also must be able to accommodate short, weekend stays. "There is a lot of surprising delight in these places," Bowen said. So whether it's a wedding anniversary or a family vacation on a budget, wave goodbye to big city blues and hello to tiny town delight. Click on our gallery to see Fodor's top 10 choices. Which are your favorite American small towns? Share your thoughts in the comments section below. You don't have to be an adrenaline junkie to take a dare. Fireworks are fantastic and human endeavor has its place, but sometimes Mother Nature outshines any performance we can produce. Check out the photos CNN.com readers have shared and submit your own. Earth never stops surprising us. Every corner of the planet offers some sort of natural peculiarity. Not many cities evoke as many instant associations as Las Vegas. For 24 hours, we made the world's busiest airport our destination and found a world unto its own. Join us on our journey. What you see will surprise you. Beaches along the coasts of the United States call to shoreline explorers year-round.